Last season, the FIU Department of Art + Art History and FIU Athletics developed an ongoing partnership to create internship opportunities for graphic design students. The first cohort of students to take part in this internship was Jose Ayala and Jeisa Valle, undergraduate students majoring in art. 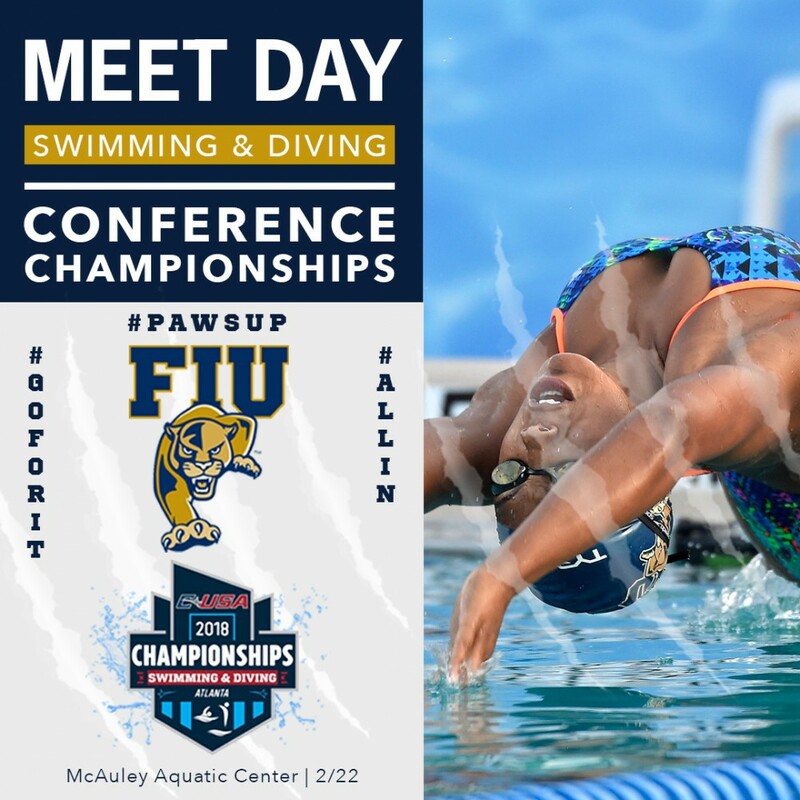 Both Jose and Jeisa received the opportunity to intern with the FIU Baseball and FIU Swimming & Diving teams to help create content for their social media accounts. In just one season they helped grow their Instagram audience by 95% and Twitter by 49%. Aside from creating graphics for the team accounts, the students were able to attend athletic events, engage with coaches and student-athletes and collaborate with different departments of the university. 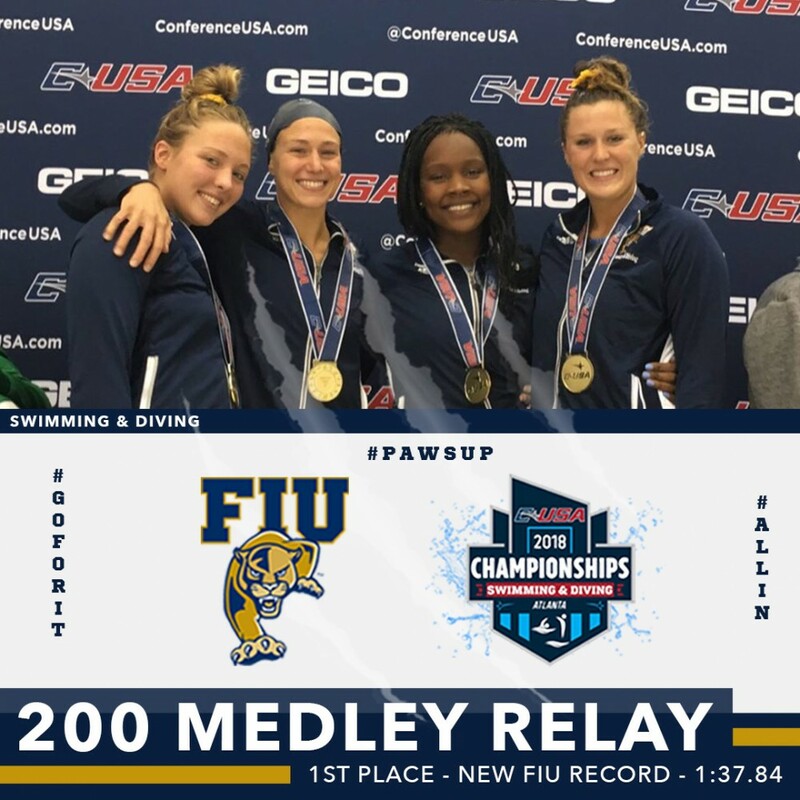 “The students who participate in this internship get to see a different side of FIU, one that most students and staff don’t always get to experience. 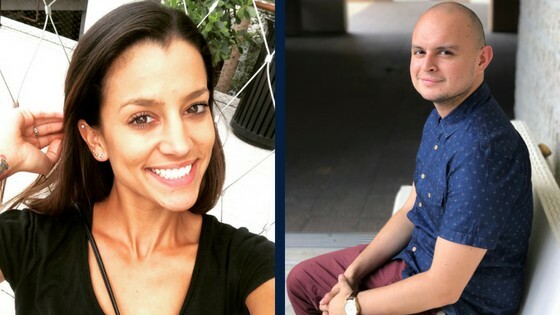 They build affinity with FIU and it makes their connection to the university deeper and more meaningful,” said Christopher Rodriguez Barake, Coordinator of Academic Support Services for the Department of Art + Art History. This partnership most importantly helps cultivate professional direction and career development in areas outside of their realms like marketing and social media management. “I am truly grateful for the opportunity I was given to complete an internship at FIU. It allowed me to grow and develop as a graphic designer and gave me professional confidence to pursue my endeavors. It was a great learning experience and I am thankful for every minute of it,” said Jose. “This internship opportunity has been a fantastic starting point for anyone getting their feet wet in the graphic design field. It has given me the hands-on experience with the pressure of finishing a request at a fast pace, as it would be in the real world. 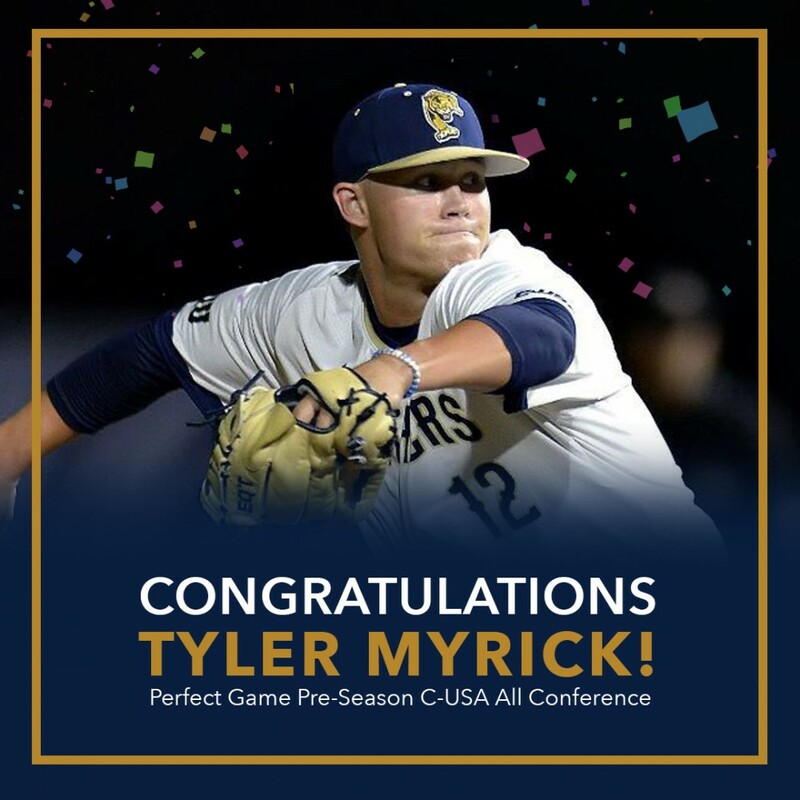 Not only was it a great internship opportunity but the Athletics director really knew how to get involved and for this opportunity, it was all in the teamwork!”, said Jeisa. Next Spring 2019, the Department of Art + Art History and FIU Athletics plans to continue their partnerships, by increasing the number of interns and expanding their duties and roles as designers, video producers, and photographers. 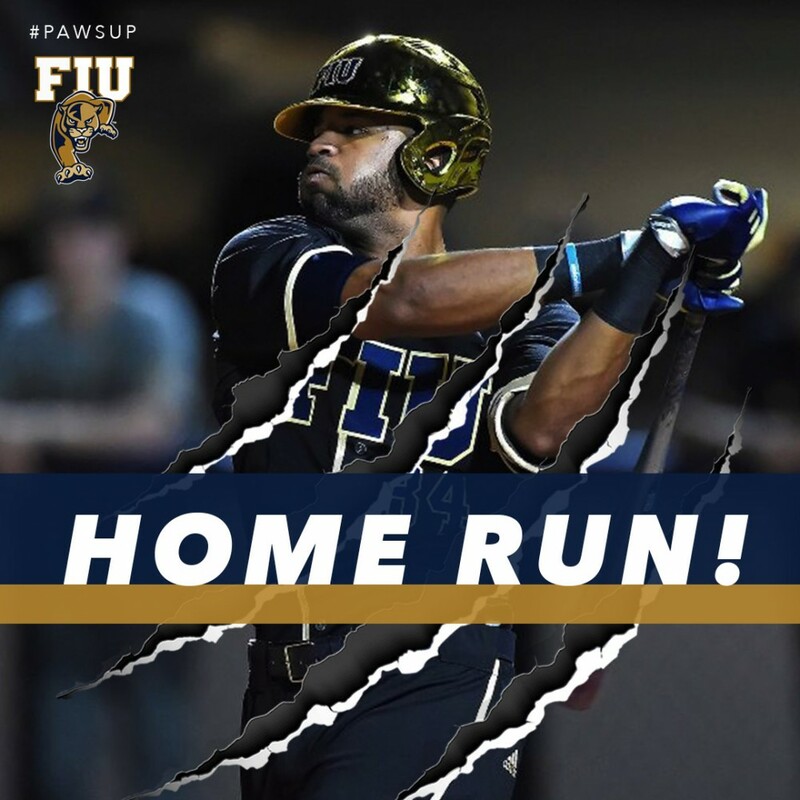 Jose: I interned at FIU Baseball and FIU Swimming and Diving. I created graphics for social media, banners, signage and athletic apparel. Jose: I heard about the opportunity through the graphic design department at FIU, then applied and submitted my portfolio. I was then offered an interview and before I knew it, I got the internship. Jose: My advice for those beginning the internship process is to stay focused, have a positive attitude, put forth maximum effort in everything that is expected of them and even exceed those expectations. Jeisa: Look into all available internships that are of interest, and have to do with your career choice and do as many as possible, to get better experience and have an dynamic set of skills. 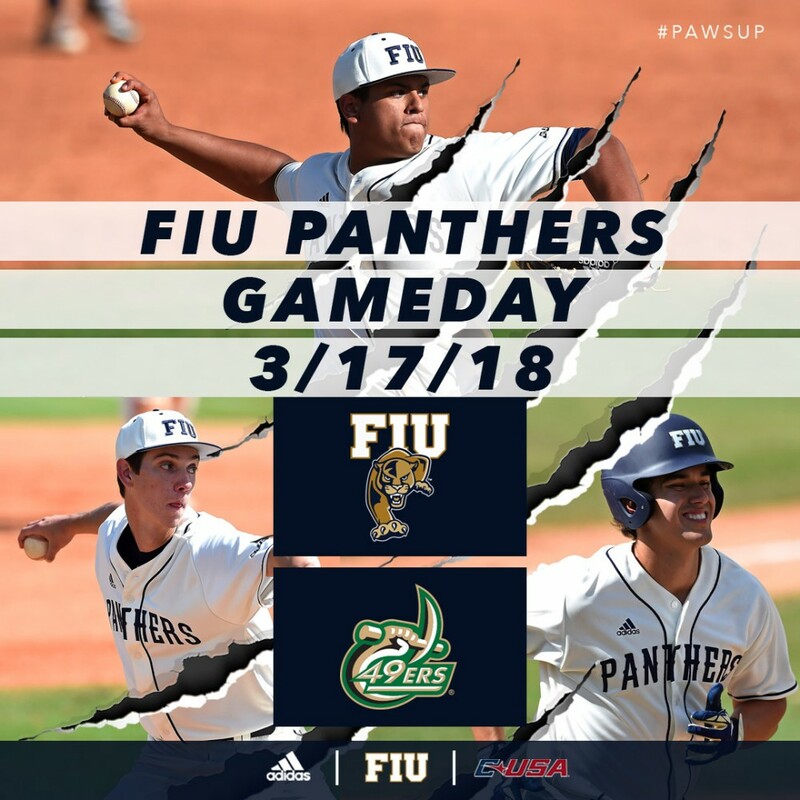 Jose: I worked on special projects such as the MJ Melendez Baseball Camp, a charity camp where all proceeds are donated to the youth that were effected by hurricanes Irma and Maria, and the FIU Swimming and Diving Conference USA Tournament. I helped to design graphics for social media and t-shirts for both of these projects. Jeisa: I assisted in creating posts for Instagram as well as twitter and web content. I was only half time intern so I basically assisted Jose and would take over when he was not available. Jose: I took the skills and knowledge learned from my graphic design courses and applied them to the internship work. In some ways, the internship paralleled my coursework. Jeisa: This internship was needed for credit to be able to graduate with my Bachelors in Fine Arts. Connects to the course work due to working on photoshop, and other adobe programs. Jose: The coolest thing about my internship is that I had the opportunity to create graphics that were exposed via social media and were noticed by major accounts such as Adidas Baseball. Jeisa: Overall it was a great experience. Jose: I liked that I was able to express my creativity freely in each of my projects. Jeisa: Being able to provide graphics, and design elements to add to social media posts was overall satisfying especially if it helped our school boost its popularity. Jose: I learned that I am very committed to my work and will stop at nothing to accomplish any task. Jeisa: For me it may have been a different experience than the other graphic design interns because my time was so limited that I would even give time to the internship on the weekend and late nights just to finish a request. I learned how time is of the essence when in the graphic design field. Jose: The position increased my professional confidence by helping me gain the experience necessary to boost the confidence in my own work and present it to the professional world. Jeisa: This position made me realize that working on these adobe programs you need to really know every way possible of editing and creating to better manage time, and it also made me more confident in knowing a work can be done with quality. Jose: I expanded my professional network by discovering and connecting with other professionals in my career field. Jose: This internship truly helped me prove myself in the real-world by providing me with the necessary experience that allowed me to grow and develop as a graphic designer. Jeisa: I am now able to say with confidence that yes I can create a graphic for a client and be content with the outcome.